Check your preconceived notions about professional hockey players into the boards. The NHL is slowly emerging in the professional sports world as the premiere league for entrepreneurship. From the ubiquitous Tim Horton’s franchise to the scenic Runaway Hill Club, the NHL has produced some of the most successful athlete-entrepreneurs to date. And that tradition continues to grow. According to recent statistics, more than 78 percent of NFL players and 60 percent of NBA players file for bankruptcy within five years after retirement. While MLB players fare slightly better, professional baseball players still file for bankruptcy four times more often than the average American. But when is the last time you read about financial distress and despair plaguing professional hockey players? While professional hockey players have one of the lowest average salaries among the top four professional sports, players are using their money wisely and investing it in building their own business. You may know Tim Horton’s for its savory apple fritters, but what you may not know is founder Tim Horton was a professional hockey player for 22 years in the NHL, scoring goals and assists for teams such as the New York Rangers. The first Tim Horton’s store opened in 1964 and now boasts over 4,300 locations throughout the U.S. and Canada. Horton cleared the entrepreneurial rink for other professional hockey players to follow. Both former and current hockey players are skillfully maneuvering their way around the entrepreneurial nets. Former professional hockey player Richard Stromback is an immensely successful entrepreneur and venture capitalist. His business ventures have ranged from mentor capital firms (Stromback Venture) to consultancy firms (Stromback Global Advisors). His companies have received accolades and he has spearheaded a handful of leadership events with Sir Richard Branson. Hockey legend Wayne Gretzsky has also launched countless business ventures ranging from specialty pillow cases to restaurants. The scope of business ventures launched by former and current hockey players range from hotel resorts to trading firms. Why are current and retired hockey players thriving as entrepreneurs? Part of the answer can be found in the NHL’s BreakAway Program. The program, supported by the NHL and NHLPA, offers year-round complimentary entrepreneurial workshops, webinars and symposiums to NHL alumni. The BreakAway Program also works in conjunction with Ryerson University to offer an array of entrepreneurial courses and provide players with the opportunity to participate in the University’s Digital MediaZone (DMZ), a multidisciplinary workspace for entrepreneurs. A recent graduate of the BreakAway Program, Drake Berehowsky, is in the early stages of launching Statstrack, a hockey intelligence concept. One could also argue that the sport of hockey itself is the perfect incubator for entrepreneurship. “Professional hockey players start at a very young age learning to be dedicated to the sport, they are motivated to strive for measurable success to be high achievers, they are geared to a team environment,” says Wendy McCreary, director of the NHL BreakAway Program. 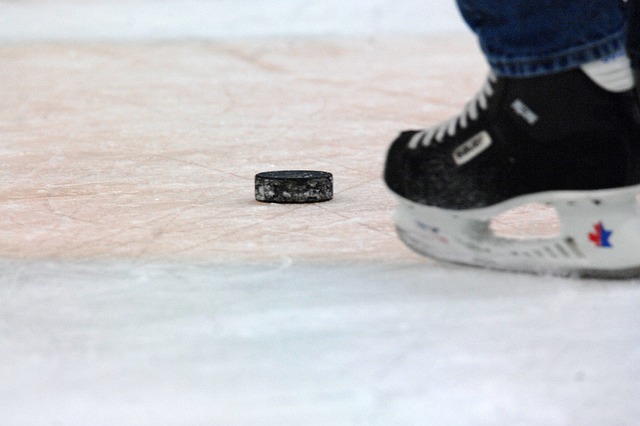 Entrepreneurs and aspiring entrepreneurs would be wise to take notes from the NHL playbook. The average NHL career is five-and-a-half years, which represents a tiny fraction of one’s total career span. Realizing the brevity of their career, players understand the importance of planning ahead. Entrepreneurs and aspiring entrepreneurs would be wise to do the same. While the NHL BreakAway Program may be unique in the sports world, the concept is somewhat commonplace in the professional world. If you are interested in starting your own business, inquire with your employer about the opportunity to take business courses, for a discounted rate, at a local college or university. Many hockey players-turned entrepreneurs are able to not only juggle gruesome workouts and games, they are also able to draft and approve business plans and financial spreadsheets. Teemu Selanne of the Anaheim Ducks was voted most valuable player at the Sochi Olympics hockey tournament yet also successfully operates Selanne Steak and Tavern in Laguna Beach, Calif.
With proper time management, any aspiring entrepreneur can also take a shot at the goal. © 2018 Statstrack. All rights reserved. Designed By Dash.